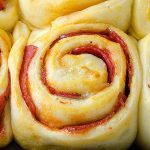 MINI PIZZA MONKEY BREAD – Simple Pizza Monkey Bread bites! 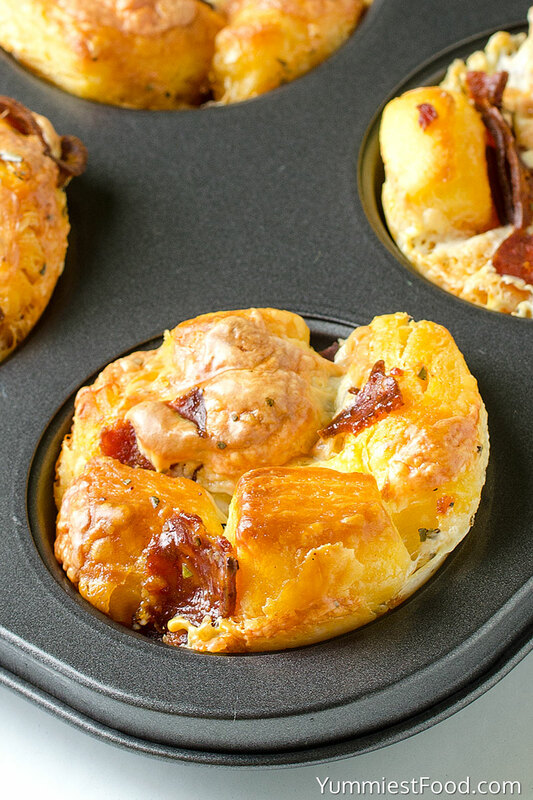 Perfect bite size muffins for breakfast or party appetizer or kid-friendly snack! I love pizza, no matter what shape or form it comes in. Because of that, I made it my mission to come up with as many different ways to consume my favorite treat as possible. 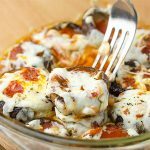 This easy Mini Pizza Monkey Bread is stuffed with pepperoni, mozzarella cheese, Italian seasonings and garlic all in a muffin tin. 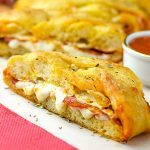 If you love pizza, you will love this pull-apart bite size pizza. They were a huge hit at my house it’s not very often when my family fights over the last piece of something I make. Yes, that was the case when I made these. 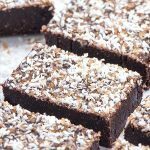 This is one easy recipe and it has a delicious taste. I am pretty sure that all of you have your favorite pizza recipe but if you don’t it’s time to try my way of preparing a little tasty snack. If you need a last minute snack for Game Day, this easy Mini Pizza Monkey Bread is crowd-pleasing appetizer recipe. You need only 6 simple ingredients and 10 minutes of active time to make them. As long as you have a can of refrigerated Biscuit, pepperoni, mozzarella and pizza sauce in your fridge, you don’t have worry about unexpected guests. 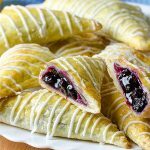 Since the Super Bowl is coming soon, you’ll need a lot of football snack. 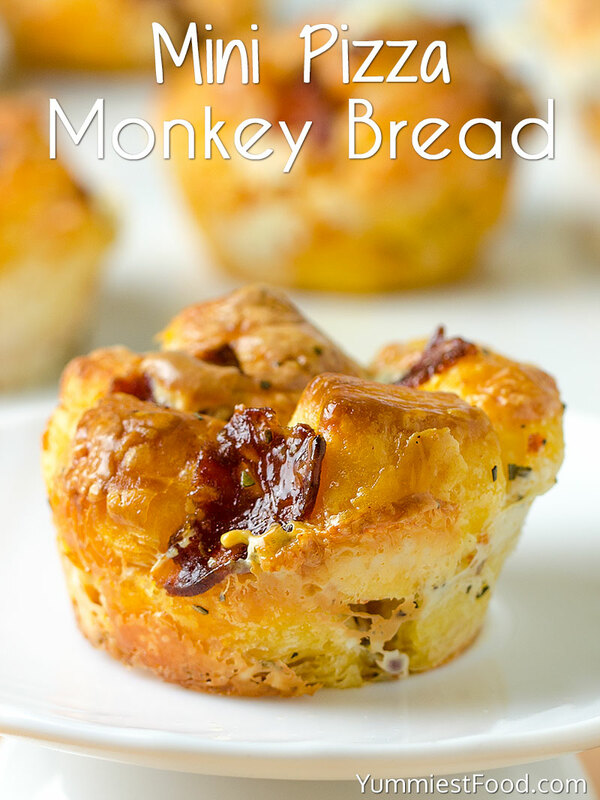 You can make this Mini Pizza Monkey Bread in less than o time. 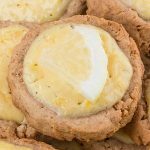 Use a knife to cut each biscuit into quarters and place in a large bowl, add pepperoni, mozzarella, olive oil, Italian seasonings and garlic then gently toss together until everything is evenly coated, then place 5 to 6 biscuit pieces in each muffin cup and bakes. 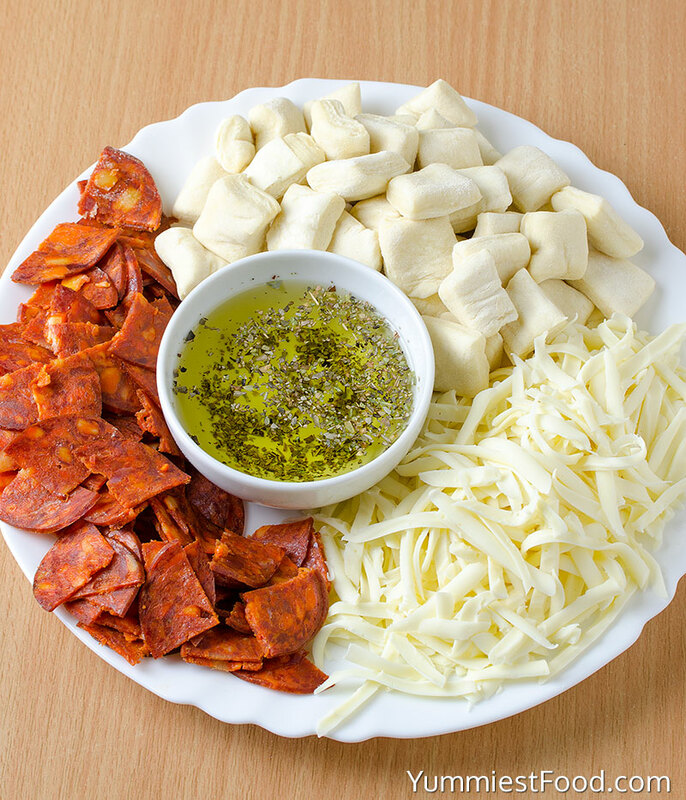 I suggest you to serve warm with a bowl of pizza sauce, because this is a really yummy dipper! 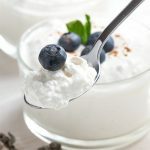 You will see when you make them they will disappear for a very short time of your plate and this recipe are a very good choice because guests can eat them by hand. 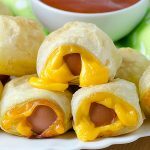 If you need more ideas for Game day food many, I suggest you to check my recipes: Easy and Sweet Chicken Bacon Bites, Easy Homemade Pizza Braid, Pepperoni Pizza Rolls, Meatballs with Homemade BBQ Sauce and Easy Pigs in a Blanket. Enjoy!